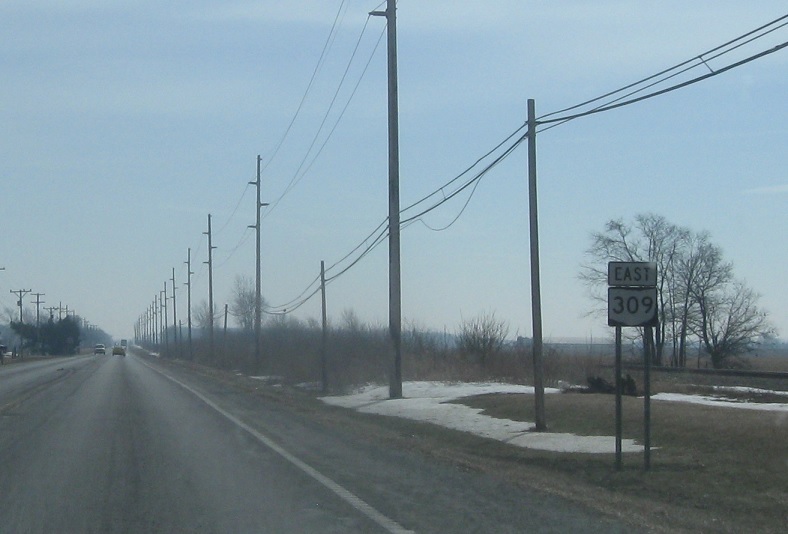 Reassurance shield as SR 309 begins. 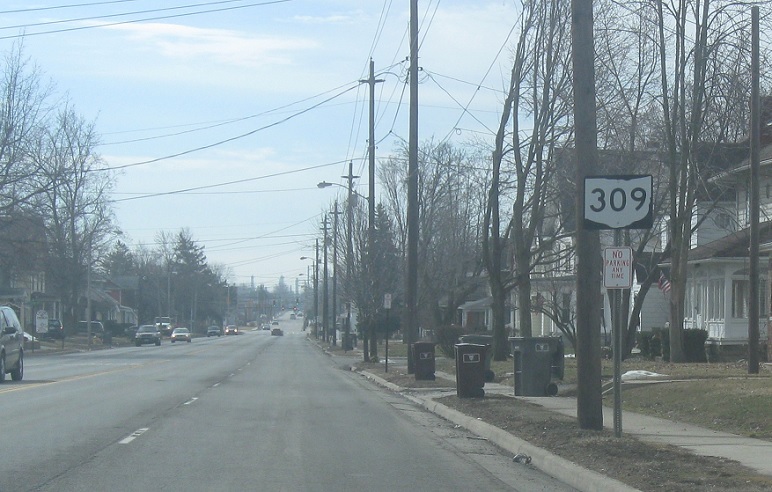 As we branch away from US-30, we’ll turn left to head east, which is the general trajectory of 309. 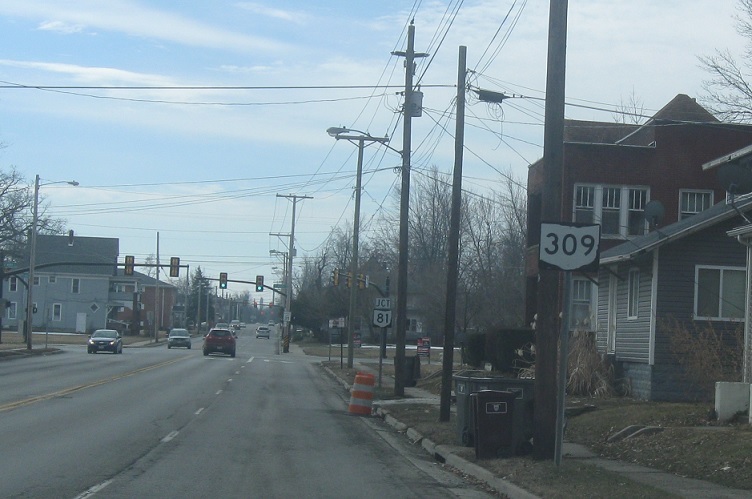 Turn left for 309 east. 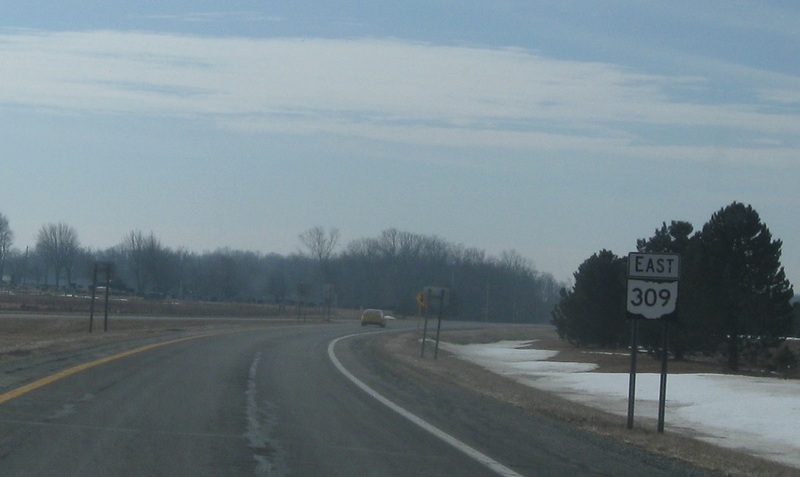 Reassurance shield as we enter American Township. 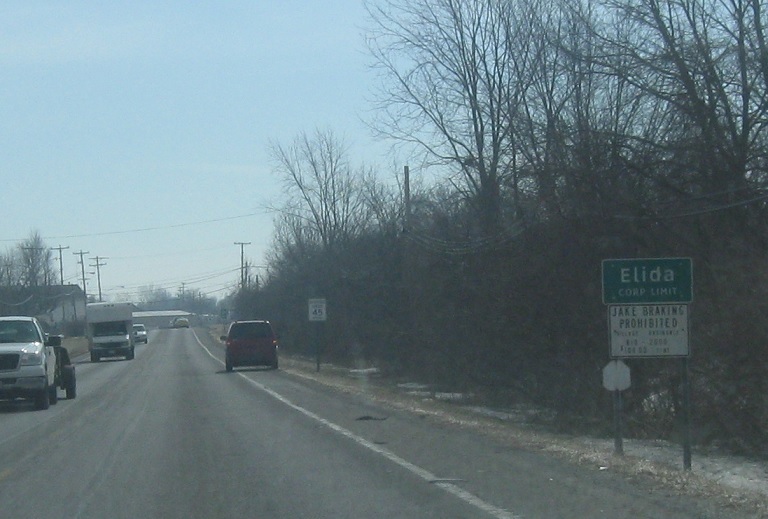 Just after that, we’ll enter Elida. 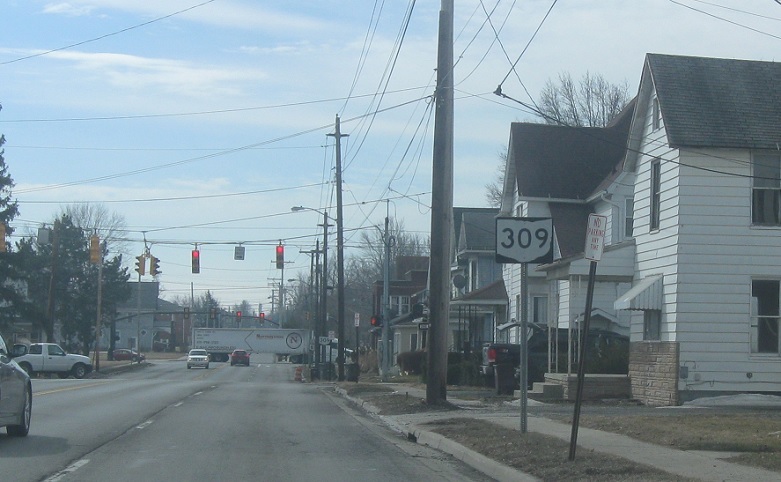 As we enter Elida, 309 swoops around to bypass town to the south. 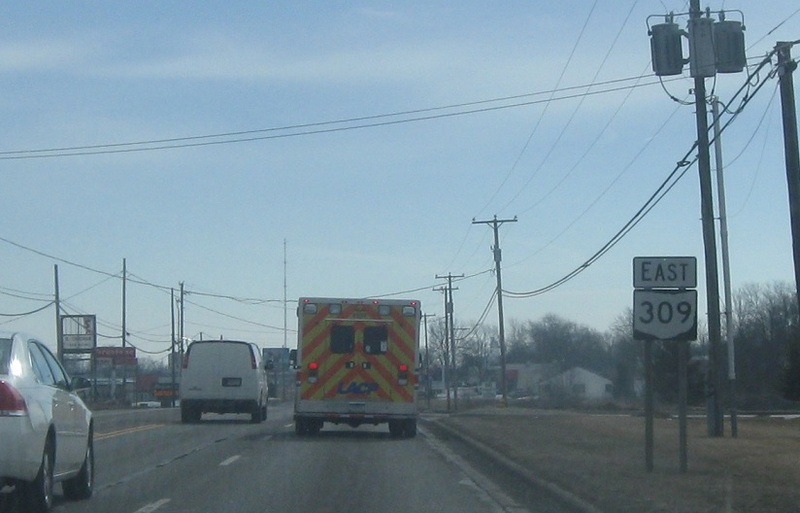 Reassurance shield as we head out of Elida. 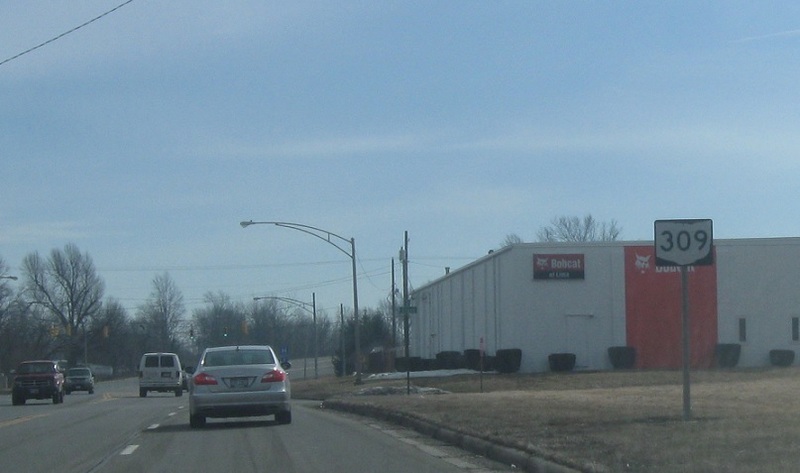 Reassurance shield between Elida and Lima, which is pretty suburbanized. 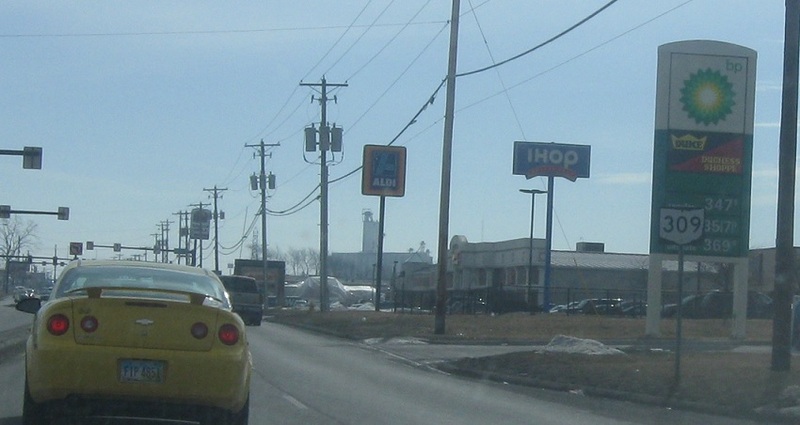 Reassurance shield a few blocks later as we approach the Lima city limits. 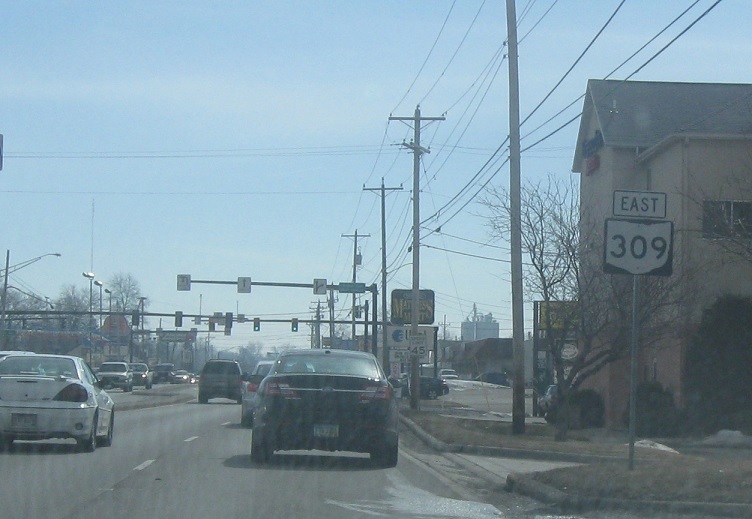 As we enter Lima, keep left to stay on 309 east. 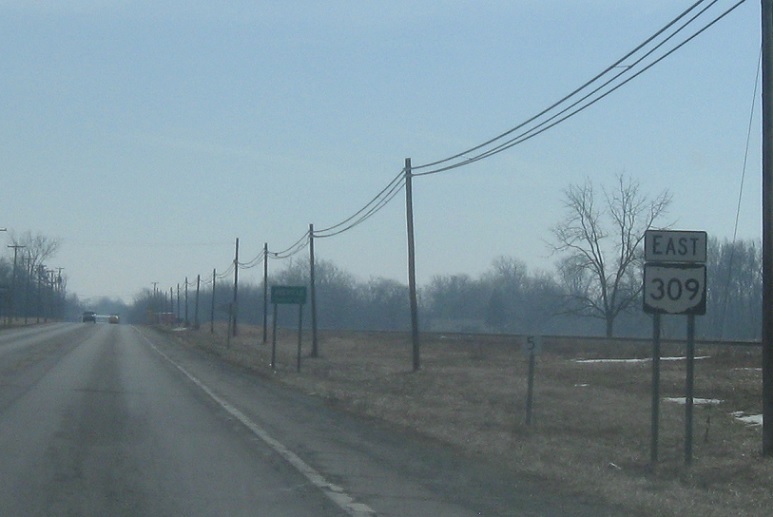 Reassurance shield after the left fork. 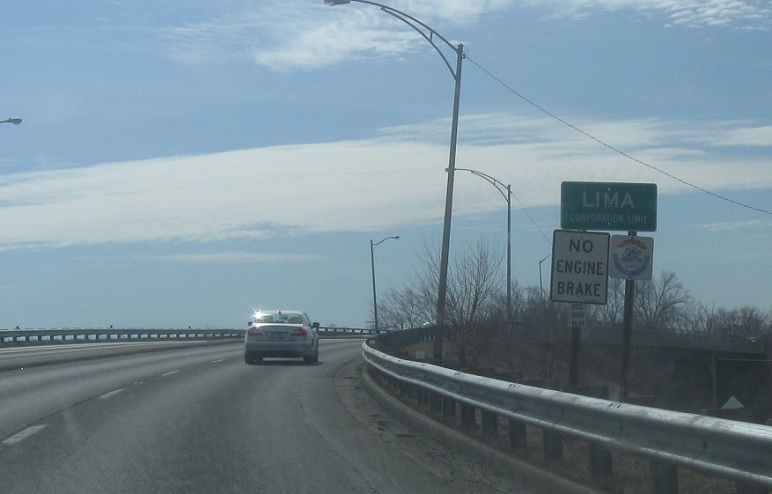 As we bear south and cross the railroad tracks, we’ll finally enter Lima. 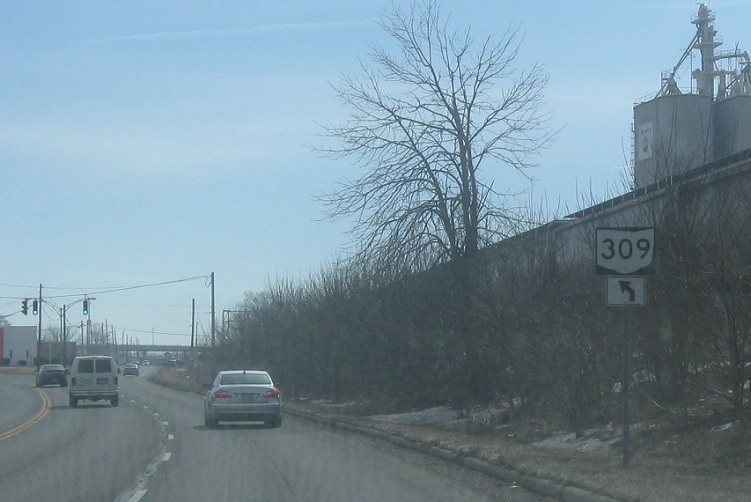 Reassurance shield as we come down off the rail viaduct. 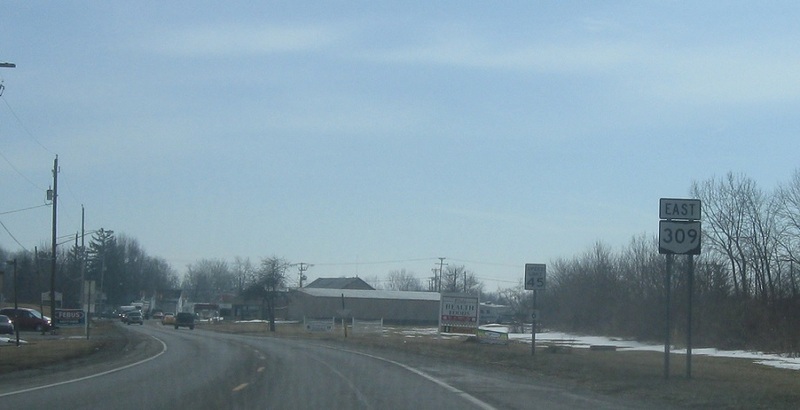 Reassurance shield as we approach SR 81. 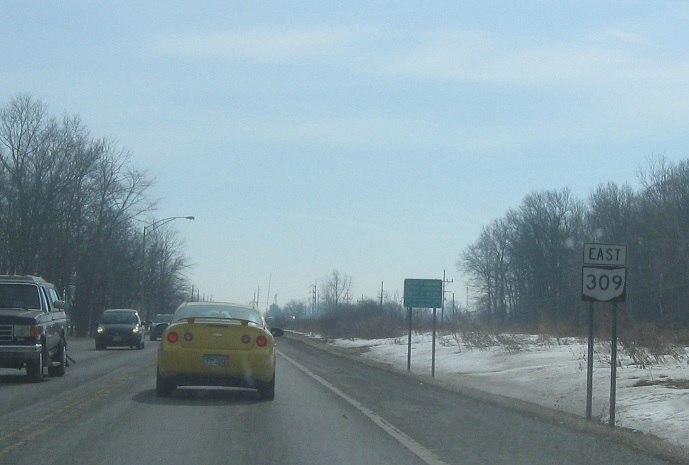 At the light, we’ll approach SR 81. 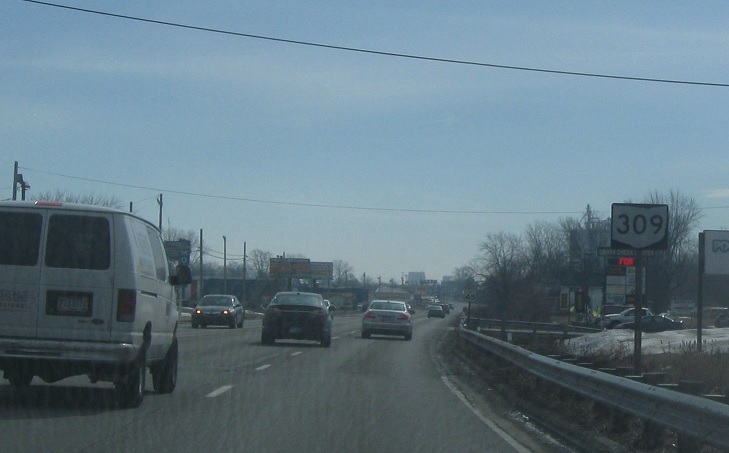 At the light, turn left for 81 east. 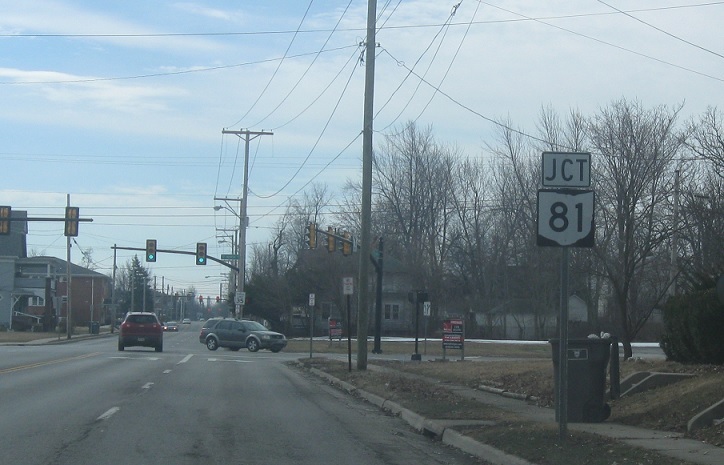 Turn right for 81 west.